Clynelish (pronounced kline-leesh) is a distillery that is located in the town of Brora on the north eastern Highland coast. It is a modern distillery that was opened in 1967, however the history goes way back beyond that date. 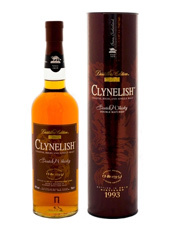 There has been a distillery in Brora since 1817 and this was also called Clynelish. The current distillery was built next to the old one and they were run simultaneously under the same name until the old one was closed in 1983. 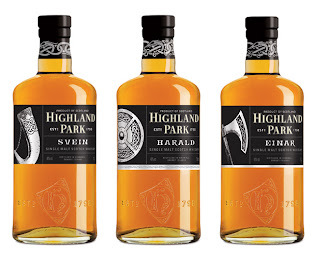 Last week we were invited to the launch of a new series of whiskies from the award-winning Highland Park distillery. The distillery is located on the Orkney islands, which sit just off the northernmost tip of the Scottish mainland, and the islands are rich in Nordic heritage dating back to ancient times. 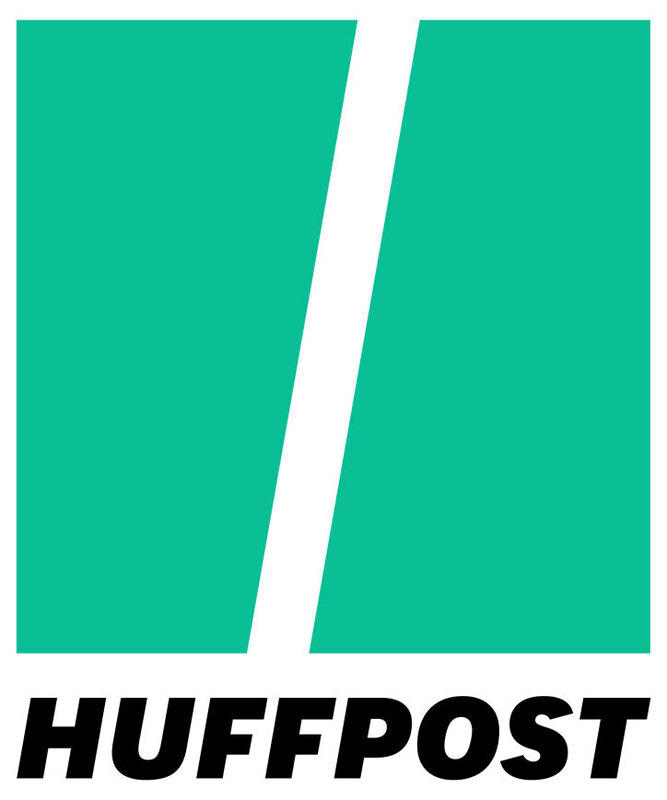 It is this heritage that the brand are increasingly tapping in to. 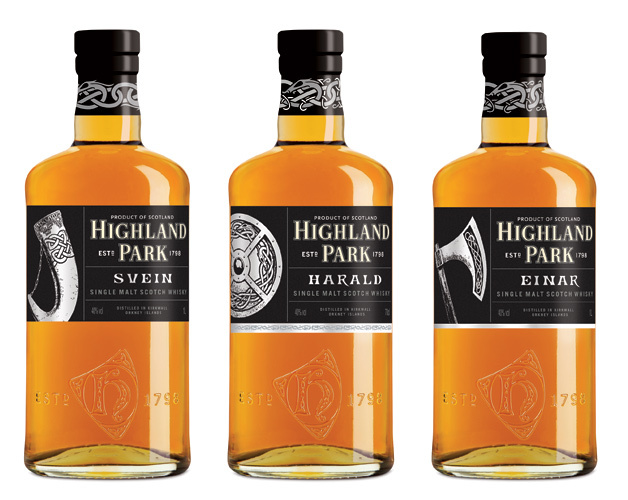 Following on from previous releases, such as Thor and the travel retail exclusives of Leif Eriksson and Drakkar, comes this new range of six single malts - the Warrior Series. Back in the Autumn, we reported that the Highland single malt brand of AnCnoc (pronounced a-knock) had unveiled the second expression in a series created in collaboration with a renowned Scottish illustrator Peter Arkle. 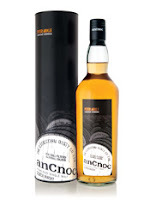 The partnership, which launched in April 2012, revolves around a series of limited AnCnoc single malt expressions presented in packaging designed by the artist. Matt T reviewed the First Edition when that was launched last Summer - click here to read his review. 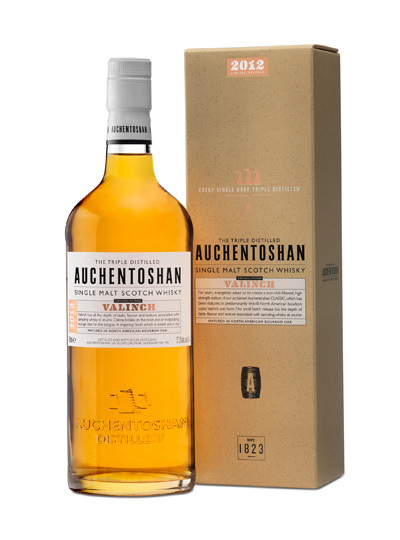 Just before Christmas, we reported in Inbox that Auchentoshan had announced the second release of their Valinch bottling. The whisky is named after the 'valinch', a metal pipette-like device used to pull whisky samples from a cask, and is an annual cask strength single malt released in small batches. The 2012 edition is bottled at 57.2% ABV and has been matured exclusively in first fill ex-bourbon American oak casks. There are 12,000 bottles in this year's batch and is available now from specialist whisky retailers, priced around the £45-50 mark. 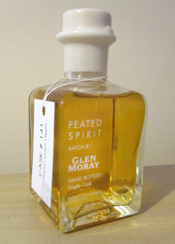 Glen Moray is a distillery with a history of experimentation with different cask and since 2010 they has also been some experimentation with peated malt (compared to their standard un-peated malts). The recent limited release, Peated Spirit Batch #1, was from a single cask from the first batch of peated malt to be run through the distillery in January 2010. This release is a bit of a sneak preview into some of the exciting things to come. The Oban distillery is one of the oldest that is still in operation in Scotland. It was founded in 1794 by John and Hugh Stevenson on the site of a former brewery, and is located in the coastal town of Oban in the west Highlands. 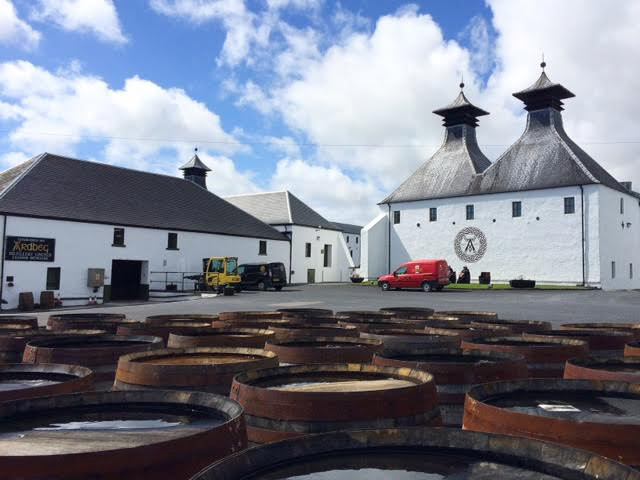 The distillery is currently owned by Diageo and is one of the smallest in their estate of 28 single malt distilleries with an annual production capacity of just 650,000 litres. 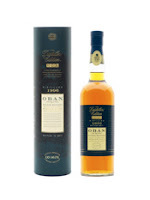 As a result, the core range consists of just two bottlings - this Distillers Edition and a 14 years old. These are occasionally joined by rare, older limited editions. 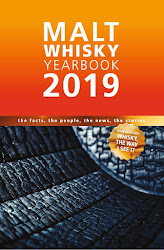 We recently had the pleasure of attending an event at the inaugural BITE Festival and it was a first for us at Whisky For Everyone. The event was a five course dinner sponsored by one of our favourite distilleries, Glenfiddich. Each course of the dinner was created to be matched with an expression from Glenfiddich's award winning single malt range. In the past we have attended events that have dabbled in food and whisky matching, but never have we attended a full dinner with a menu designed around the whiskies on offer. 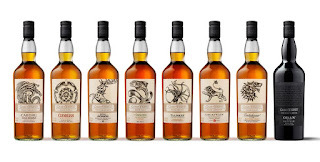 Single Cask Nation is the name of a new set of single malt whisky bottlings from the Jewish Whisky Company. The JWC was founded by three whisky loving friends - Joshua Hatton, Jason Johnstone-Yellin and Seth Klaskin - about three years ago and was formerly known as the Jewish Single Malt Whisky Society. 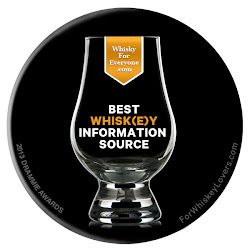 Their aim is to be a premium American based independent bottler of Scotch single malt whiskies and other whiskies from around the world. 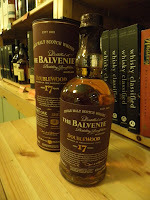 The announcement that Grant's would be adding a 17 year old version of the Balvenie Doublewood to their core range a few months ago was quite exciting. 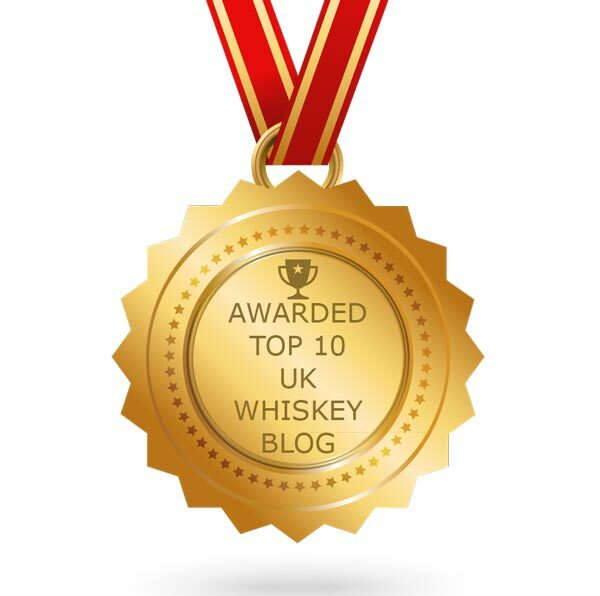 The 12 year old Doublewood, to this writer at least, is pretty legendary and will always have a place in my heart as the whisky that first got me into whisky. It’s a great complex accessible dram. The idea of releasing an older version is, like most genius ideas, obvious. I’m amazed no one thought of it before.